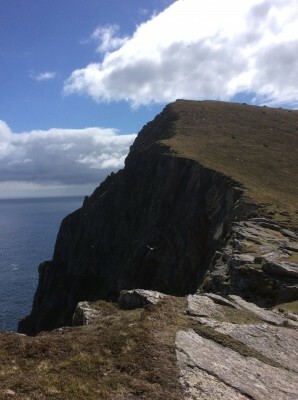 My good friend Tim Hagan had tried twice on different trips to Scotland to make the journey to St. Kilda. After Tim’s death from a climbing accident I felt it was important to complete his goal of visiting the archipelago. 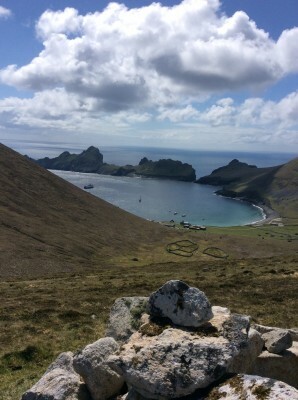 St. Kilda resides 40 miles off the Outer Hebrides and 100 miles off the west coast of Scotalnd and is one of the few UNESCO dual world heritage sights in the world. . My wife and I reserved the excursion with Kilda Cruises that left the port of Leverburgh on Harris Island. 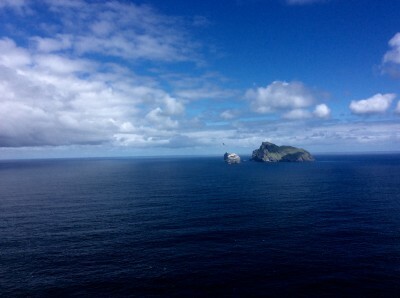 The 12 passenger 55 foot cruiser took two and a half hours through rolling seas to arrive at St. Kilda and the small quiet bay of Hirta Island. A short zodiac inflatable deposited us on shore and we had the next five hours to wander through the stone ruins of the original inhabitants village and hike to the col between the two steep hills that formed the edge of the island. The back side of the hills was a steep black rock cliff the dropped hundreds of feet into the ocean. Seabirds soared back and forth catching thermals and were illuminated by the light of the sun. A truly lovely sight and with a small packet of my friends ashes I knew that he was pleased and it was due to him that we were enjoying eight straight days of sunshine, a rarity at that time of the year in Scotland . 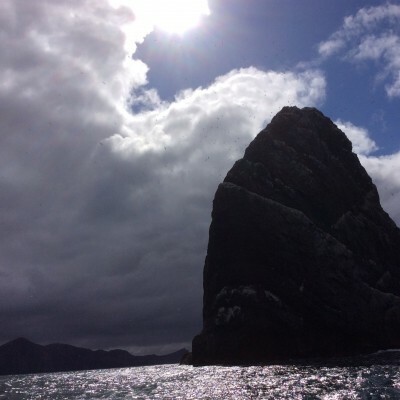 After five hours we boarded the boat and motored beneath the towering sea stacs that are home to thousands of seabirds. As I looked overhead the air was full of soaring birds. The rock of the stacs were covered in nesting birds. Waves crashed against the stone and I knew then that this was one of the most visually poetic moments of my life.